Ever seen someone standing on a street corner and wishing you had something you could do to help them? 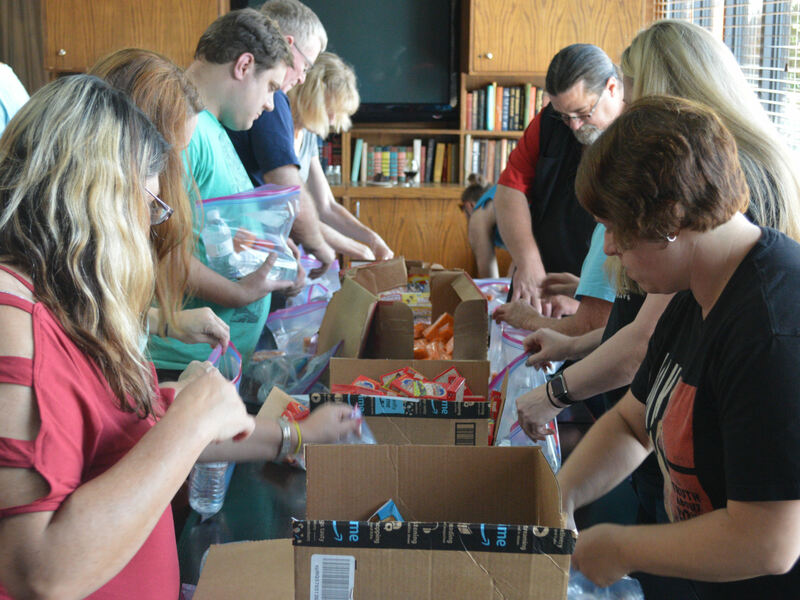 We have at the Kansas City Atheist Coalition, so we got some helping hands together today to put together care kits filled with water and shelf-stable snacks. 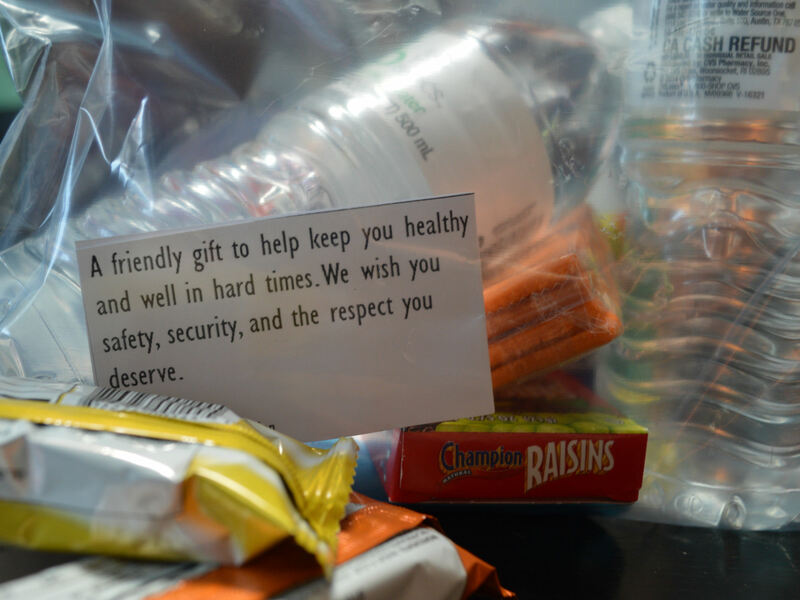 Participants then took these care kits to keep with them as they drive around and to be handed out to those who could use something to eat or munch on. 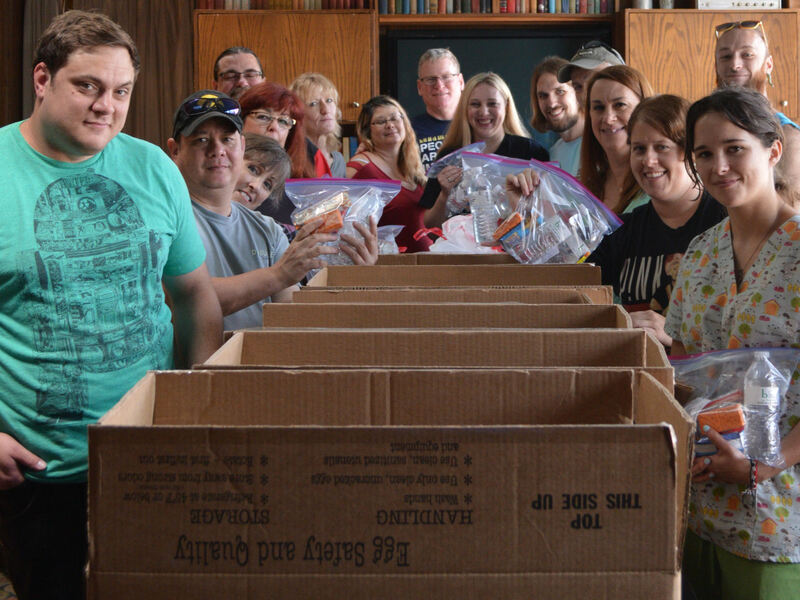 No Comments to "Atheists Assemble Care Kits For Those in Need"